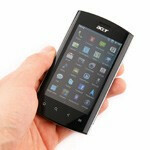 This is a global GSM phone, it can be used with AT&T's 3G and T-Mobile USA's 2G network. Acer is the world’s second largest computer manufacturer after HP, but its smartphone department clearly wasn’t the company’s focus. Now that everybody is giving it a try, Acer decided it is high time to nail it. It was obviously not going to happen with the half-baked effort to out a budget Android handset that was the Acer beTouch 110, and not even with the Acer Stream, which offered specs and design, as well the intriguing Breeze UI, but was overpriced, and had some camera quality issues. Good things come to those who try hard, so when the Acer Liquid Metal was leaked back in September, it looked quite promising, and all we wished then was for the price to be right. Well, we can check this one out of the way, as we’ve seen it for less than $400 unlocked in the US, and EUR 320 in Europe. Very decent price for an Android 2.2 handset with second generation Snapdragon chipset – the same one that is in the T-Mobile G2 and its HTC Desire Z version – as well as 512MB RAM/ROM, and some perks like Dolby Mobile, LED notification icons and dual mikes for noise-cancellation. 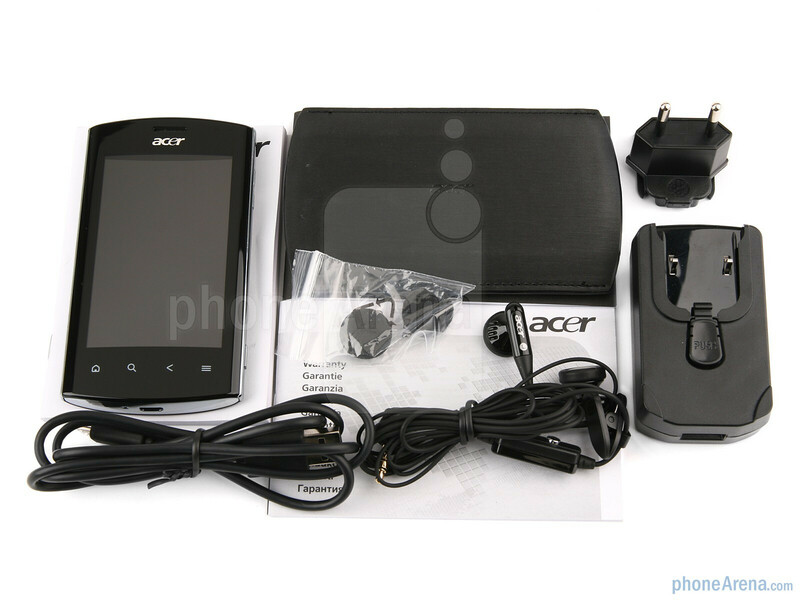 Keeping up with the tradition after acquiring the smartphone maker Eten, Acer provides a cool looking box with magnetic strips in one corner that hold it together, plus some additional accessories in it, like a pouch for the handset. 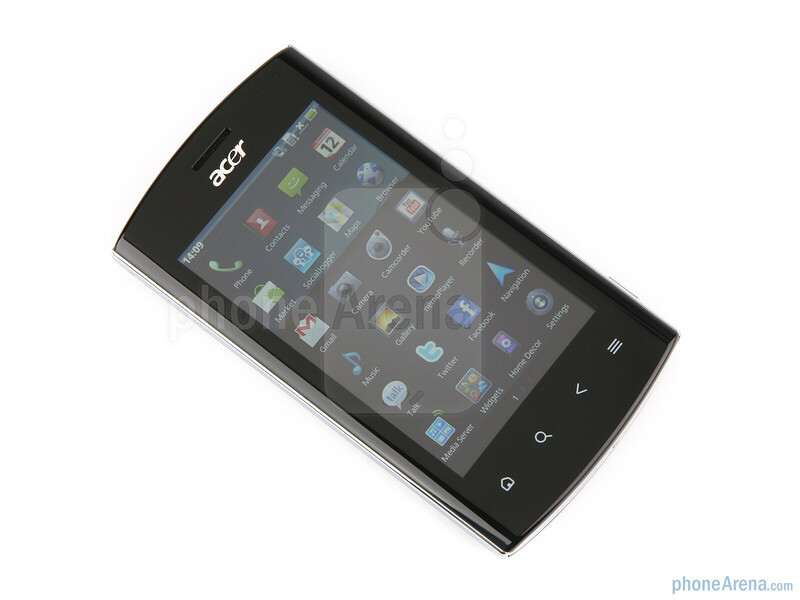 The Acer Liquid Metal has a curved chassis throughout, and we mean both the back and the front. 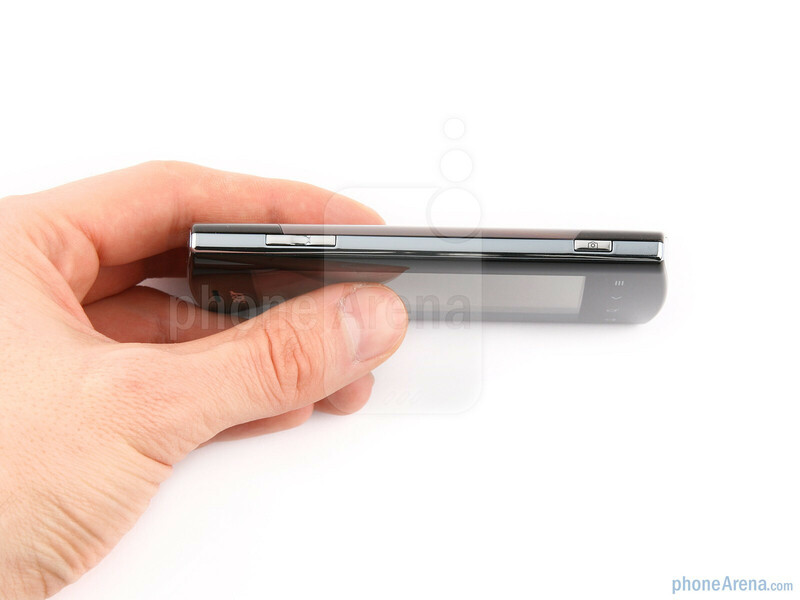 There is a slightly curved glass over the top of the 3.6” LCD screen as well, so when looking at the top or the bottom, the phone looks elliptical. 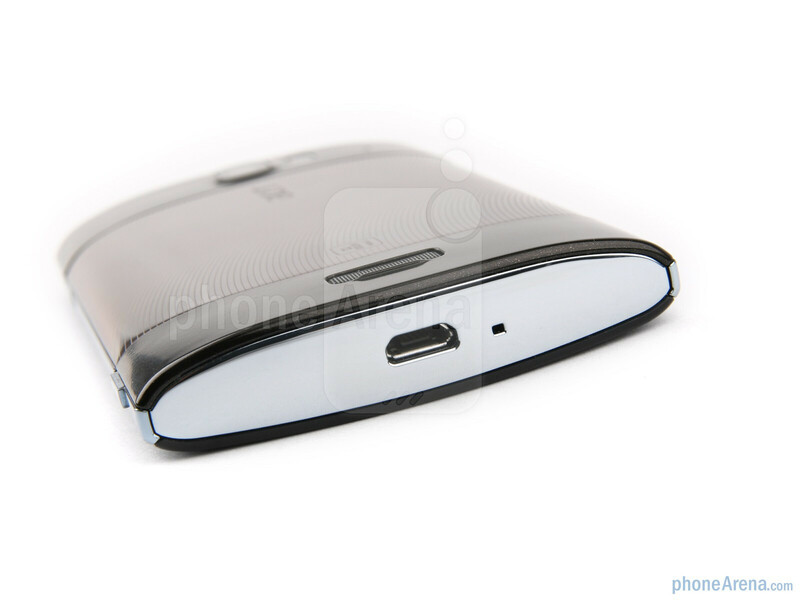 Very ergonomic shape, which makes it very easy to hold and operate with one hand. You can compare the Acer Liquid Metal with many other phones using our Size Visualization Tool. 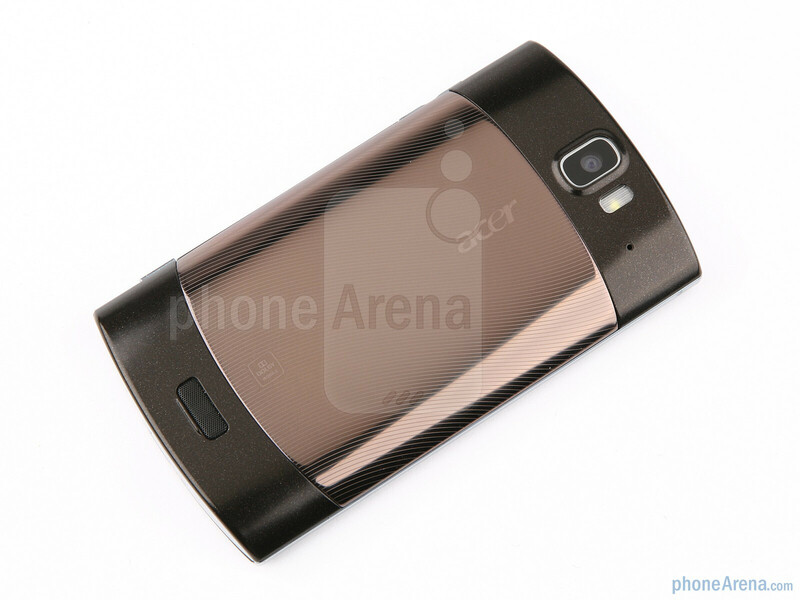 If Acer had provided some space to pour liquor in it, the handset would have made the perfect flask – more so since there is a chrome-plated band surrounding the phone, which turns into two ellipses at the top and the bottom, where the microUSB port is. The front is black, with plenty of bezel above, where the ambient light and proximity sensors are, and below the screen, where we find four sensitive enough capacitive buttons for Android navigation. The 3.6” capacitive display is considered average size for today’s standards, but the resolution is 480x800 pixels, same as on many handsets with 4” or 4.3” screens, which makes text appear crisp, and the icons smooth throughout the interface. The screen is otherwise a standard fare, with average visibility in direct sunlight, while the viewing angles are decent for an LCD display. It is able to represent 16 million colors, and they appear punchy enough. The volume rocker and the two-steps camera key on the right, as well as the power/lock button at the top are tactile, and easy to find and press without looking. To start the camera, you need to hold the shutter key long enough, so accidental presses don’t count. 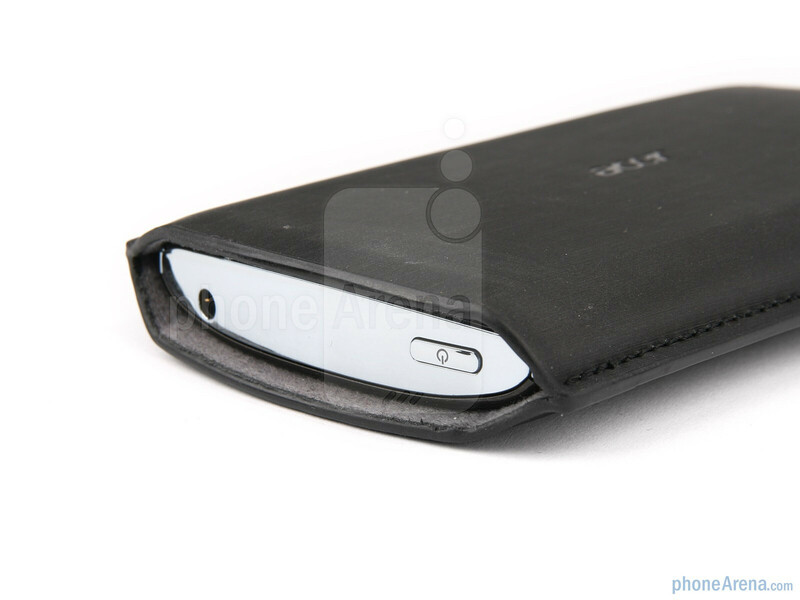 These chrome-plated sides, and the battery cover, are where the naming of the Acer Liquid Metal comes from. 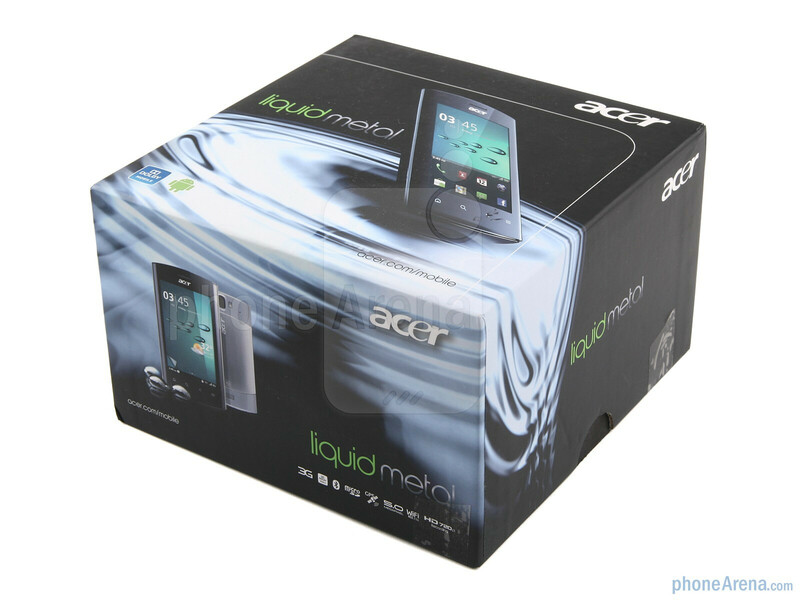 Liquid obviously comes from the title of Acer’s high-end Android series, but the “Metal” part is brought on by the stainless steel battery cover, which comes in either mocca, or silver coloring. 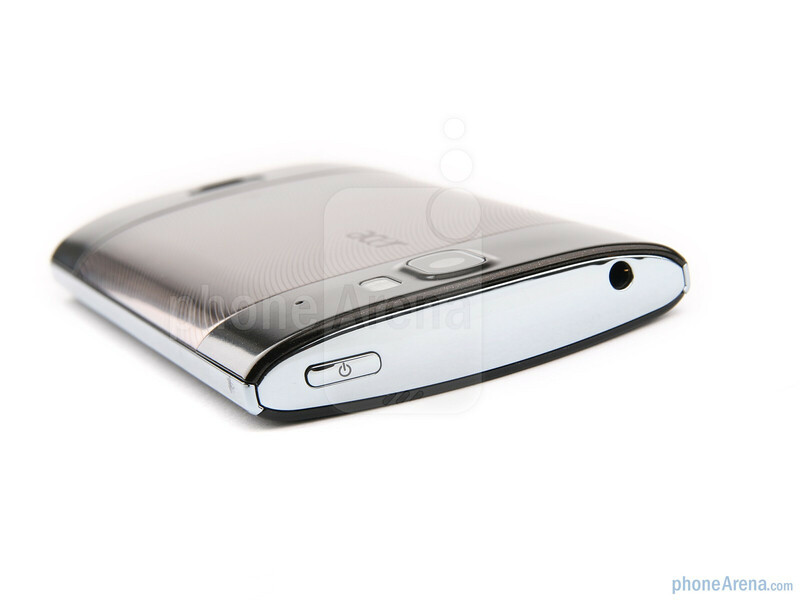 The back cover is opened by pushing it up, which slides away the openings for the 5MP autofocus camera and the LED flash as well. One of the coolest features of the Acer Liquid Metal is that you actually don’t need to turn on the screen in order to start interacting with the device. 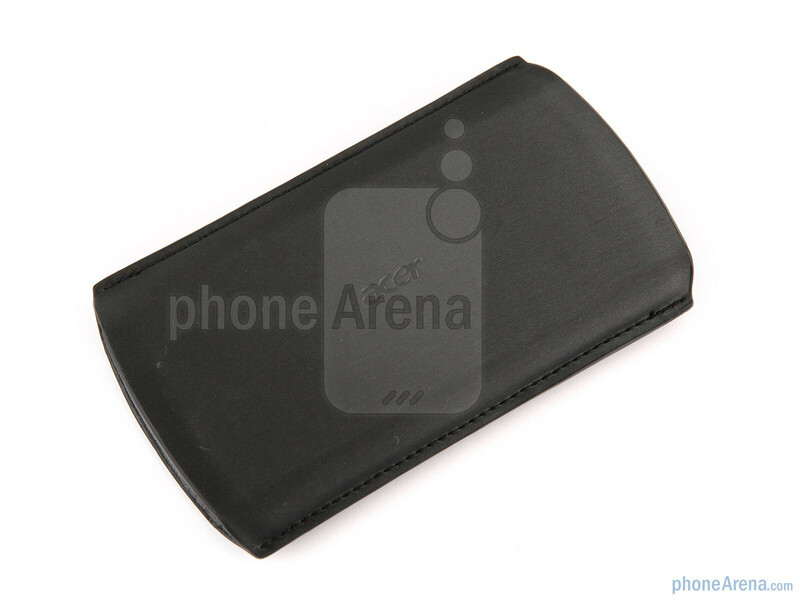 There are three LED-lit notification icons at the top of the handset, which glow white under the chrome plating. They are illuminated when there is a missed call, unread message, and when the battery falls below a certain level or is charging. 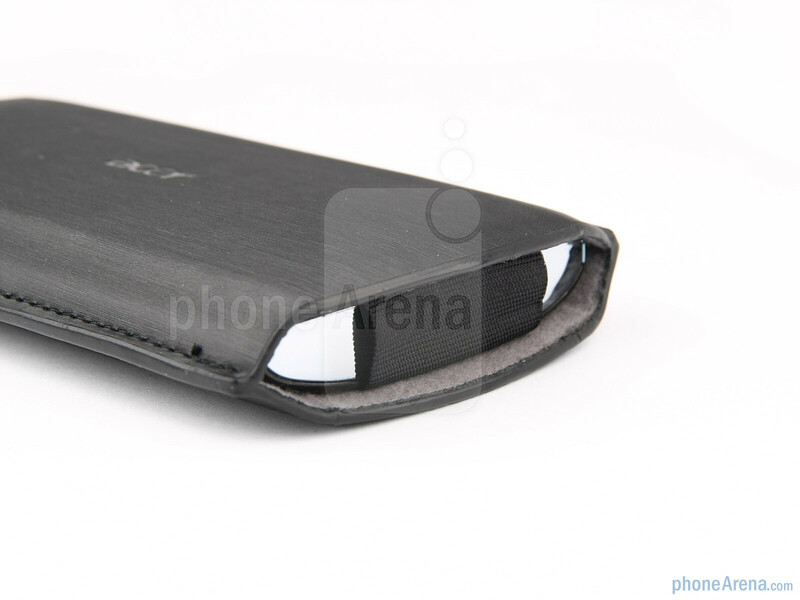 Thus you can keep the phone in the provided pouch, or just barely take it out of your pocket, and immediately glimpse if something is going on. Pretty svelte idea - we would like it to be expanded with showing the date/time there as well, and we’ll be completely sold. Overall the heft, relative thickness, and the curved chassis all make the Acer Liquid Metal a solid handset to hold, and very ergonomical to operate. 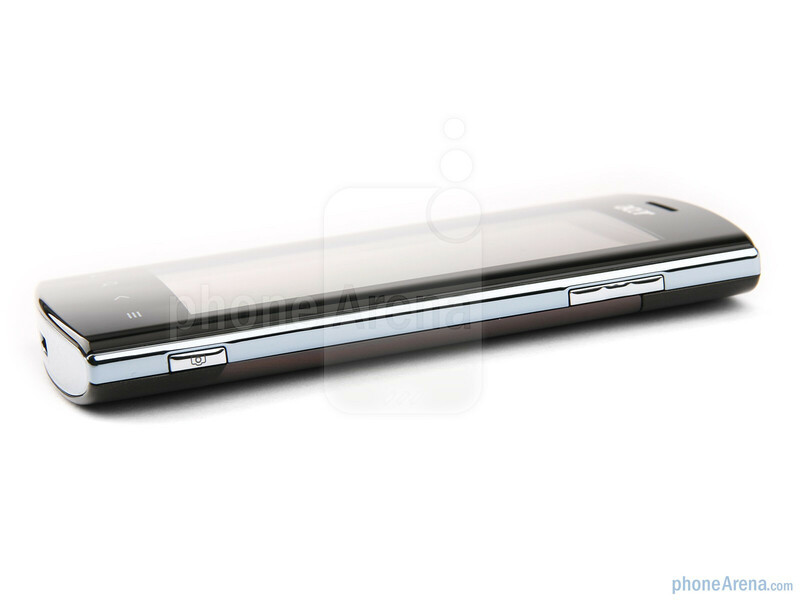 Plus, the stainless steel back cover, chrome accents, and cool LED notifications scheme are making it a looker too. The one thing we didn’t like is the lack of oleophobic coating on the screen, which makes finger smudges stick all over it, to the extent that you have to wipe the handset pretty often. Have been waiting for this review since se hands-on came out, and have to say im very pleased with it. I was only wondering if any video review is going to be added latter on. anyone know where I can get one or if its even released yet? I know it works with AT&T 3g but is this sold internationally? or will it be available for purchase here? Those two cons are really annoying. It would've been nice to see an evolution in the camera...the screen I might've been able to see past but I require a more than decent camera in a phone these days. If I wanted sub par I'd go Blackberry. @MarMaiden...it is now $409.99 at Expansys-USA. 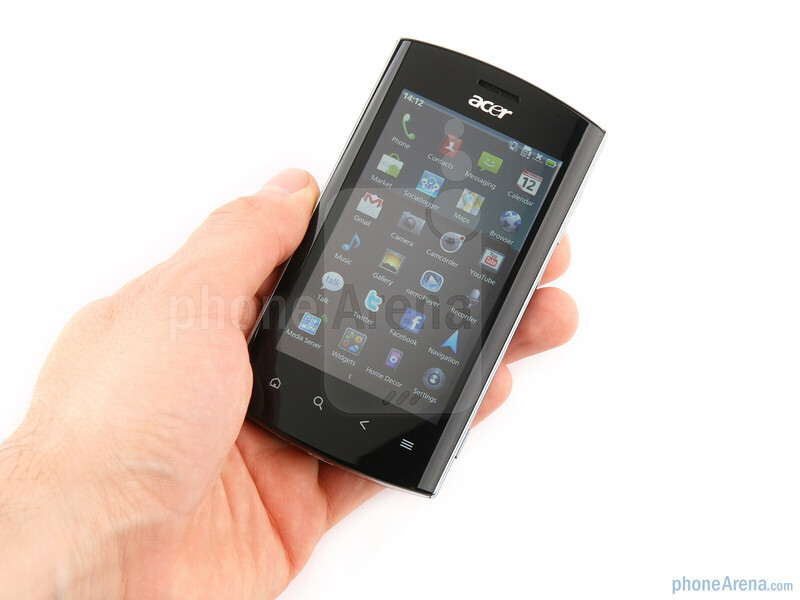 How does this phone compare to the Motorola Defy? Anyone willing to share? The camera on the reviewed phone is broken. I had the same on a SE K550i once. Blurry photos and the cam-module didn't seem to autofocus at all. I noticed the same kind of blur on these pictures. So please ask a replacement with a working camera and please redo the photos. Holy ker-app, it's A$128 at JB Hi Fi! That's US$135!